Last week’s blog post, Fair Housing Threat, generated a discussion among our members over whether landlords can legally reject tenants who smoke. It is not discriminatory to reject an applicant who will not agree to honor a landlord’s nonsmoking policy. Landlords can be sued for illnesses resulting from second-hand smoke if they have allowed tenants to smoke in common areas or near ventilation systems. Nonsmoking units are more popular than smoking units and easier to clean. 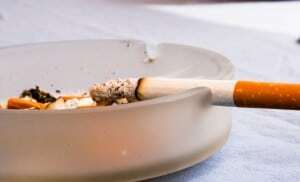 More and more cities are mandating nonsmoking rentals. A nonsmoking policy reduces risks of fire. For more on nonsmoking policies, see our post Landlords Applaud City’s New Rental Law.